We continue now to the third notebook that Saint Faustina filled with messages of Mercy from our Lord. As you enter into this notebook, pause and reflect upon all that you have read so far. Has it changed your perspective on life? Has it changed you? If it has, then continue down that same path and trust that the Lord will continue to do great things in your life. If it has not, reflect upon why! Sometimes we need more than the words we read. We also need true prayer, deep prayer and what we may call “soaking prayer.” Consider this as you read through the reflections flowing from this notebook and allow the words to not only enter your mind, but to also enter deeper. Read them prayerfully and carefully. Speak to our Lord as Saint Faustina did. Read some more of her actual diary in addition to these reflections and learn from her humble and childlike faith. The Lord wants to do great things in your life! Open the door, through prayer and reflection, and let Him in! Fear results from various causes. The perception of some immediate threat causes sudden fear as a sort of defense mechanism. In fact, this could save your life if, for example, the immediate threat is a car swerving into your lane. Sudden fear compels you to take action and avoid a collision. However, fear can also result from other more remote factors that we experience as threats to our well-being. For example, one may struggle with fear over an economic downturn or loss of profit in a business. The fear may be, “How will I support my family?” Or one may have health issues and this causes increasing fear about the future. And the list could go on. Though some forms of fear are healthy (swerving to avoid a car accident), most others are not. Specifically, when fear causes anxiety and worry, leading one to lose trust in God and His providence, this is a problem. But if God is alive in your heart, living and reigning there, His presence produces a supernatural confidence and trust in the midst of any and every struggle we face (See Diary #1001). Reflect upon the specific fear you struggle with right now. What is it that causes excessive worry and anxiety? Whatever it may be, the Lord wants you to trust Him. Yes, a certain “holy” fear can help us evaluate all situations properly and act diligently and responsibly, but too often what we actually struggle with is a lack of trust in God. Reflect upon your fear and your trust and invite Christ more deeply into your heart so that His presence will cast out all useless fear, enabling you to fully trust in His care, providence and Mercy. Lord, I do trust in You. Help me to trust You all the more. I surrender to You all that tempts me to fear. I trust in Your perfect love and desire to rely completely on Your Mercy in my life. My life is Yours, dear Lord, do with me as You will and guide me always. Jesus, I trust in You. All things are made for one ultimate purpose: to give praise and glory to the Most Holy Trinity. We are made for nothing more, nothing less and nothing other than this purpose. As people, we are called to give the unique praise and glory of our adoration to God through lives fully committed and surrendered to Him. This surrender and total submission of our mind and will to Him offers God the praise that is due His name. But all Creation shares in the glory of God in that all creation reflects His perfect order and, especially, His perfect Mercy. For example, the providence that God manifests in caring for the birds of the sky, creatures of the sea and all living things on Earth reveals His glory and gives Him glory by their very existence. We must see this, rejoice in it and give God glory for His Mercy that keeps all things in being (See Diary #1005). Do you recognize the Mercy of God as manifested in all of Creation? It may be easier to recognize His Mercy when offered to us through the forgiveness of our sins and His invitation to us to share in His life. But we must also see the perfect order of Creation and, in that order, see His providential care for it as an act of great Mercy. Reflect, today, upon Creation. Think of the flowers, the bees, the animals and all the small details that make up the design of the physical world. It’s truly amazing and mysterious and reveals a God of perfect wisdom and love. Creation is a powerful revelation of God’s Mercy. Lord, I thank You for all that You have done in this world. I thank You for designing it, creating it and keeping it all in existence in accord with Your providence. May I discover Your Heart of Mercy in all that You have made and grow in admiration of You through this gift. Jesus, I trust in You. It’s easy to “love” God when all is well. But when all is well, our love is not tested. The testing that comes from human suffering clarifies our love of God. This can be very fruitful for our spiritual lives. It’s easy to believe that difficulties in life are nothing other than sad and unfortunate burdens and should be avoided at all costs. Though we would be foolish to create difficulties intentionally, we will each have our share of them in this life. Therefore, every difficulty and suffering in life must be embraced as an opportunity for you to increase your trust in God and, in so doing, to increase your love of Him. How blessed is the soul who suffers greatly in this life while choosing to love God throughout, making that suffering the source of its increase in holiness (See Diary #1014). What do you complain about each day? What is it that burdens you? Too often we run from these burdens or get angry. Try to look at your struggles in a new light. Try to see them as opportunities to deepen your trust and your love. Every suffering and every burden in life has the potential of being infused with the spiritual power of the Cross. By embracing them in love, we embrace the Cross. And by embracing the Cross, we love God all the more. Do not think that hardships deal you a poor quality of life. Recognize them for what they are as a result of grace. They are opportunities for holiness and for an increase in the reception of the Mercy of God. Lord, when I get down, angry or despairing in life, on account of the difficulties I endure, help me to use that struggle as an opportunity for greater trust. Lord, I desire to run to the Cross and to receive the love that poured forth from Your Cross so that I may become more like You in all things. Increase my love, dear Lord, especially through every suffering in life that I surrender to You. Jesus, I trust in You. If you won a million dollars you probably wouldn’t say, “No, just give me $100, that’s all I want.” And yet that is what we often do with the Mercy of God. God offers an abundance of wealth and we choose to take only a small portion. Why is that? His Mercy is limitless. It is infinite. If we understood all that God wants to do in our souls, and then cooperated with Him and allowed Him to do it, we’d be in absolute awe and eternally grateful that we discovered this priceless treasure. Perhaps the problem that many face in accepting His Mercy more fully is that it’s risky. It’s risky in the sense that we must change. Would a million dollars change your life? Probably. It would most likely change a number of things in your life, and not necessarily for the good. But the Mercy of God is a treasure of infinitely more value. Don’t hesitate! Take the risk to accept it and to allow it to change you for the good (See Diary #1017). Do you hesitate in accepting God’s Mercy? If you do it’s important to realize this, admit to it and face the reason why. It’s a rare soul who is completely open to all that God wishes to bestow. It’s a rare soul who is not cowed by the risk of total abandonment to the Mercy of God. Choose to be one of those rare souls and embrace, without hesitation, all that God wants to pour out upon you and rejoice as you see His grace change your life. Precious Lord, I thank You for Your abundance of Mercy. I thank You for loving me with such a perfect love that You burn with desire to lavish the riches of Your grace on my life in an endless way. May I cease all hesitation in the face of this glorious gift and willingly accept You and all that Your Mercy will do in my soul. I thank You, dear Lord. Jesus, I trust in You. If you were an expert in the area of wine tasting, and you had a choice between an excellent bottle of wine and a cheap one, obviously you would choose the excellent one. You would know the difference and you would not find much delight in the cheap wine knowing that the good wine was available. So it is with our souls. When we’ve tasted of the Mercy of God, and taken a sweet delight in His presence, we will long for more. We will also begin to realize that all the other “delights” in life do not compare. They are poor “tastes” of the glory of God. Drink the good wine of God’s Mercy and become accustomed to it. If you do, you will find that all the other delights in life pale in comparison (See Diary #1026). Have you tasted of the sweetness of the Lord? Have you discovered the aroma of His Mercy and His presence in your life? If you have, then you know what it means to want more and you will find yourself seeking Him out every day. If you have not, you do not know what you are missing. And when you do not know what you are missing, it’s hard to actually miss it. But know this, you do not want to miss out on the Mercy of God. Reflect, today, upon this question. Have I tasted of the sweetness of my Lord? God wants to flood you with the delight of His presence. Let Him do so and you will never seek out the cheap wine of life again. Lord, I do want to become inebriated with Your Mercy. I desire that this Mercy fill me with the aroma of Your abundant grace. May my love for You become an appetite so strong that I turn to You as the only delight of my life. Jesus, I trust in You. “I thirst.” These two simple words have so much meaning. They were spoken by our Lord from the Cross. A soldier tried to offer some comfort by offering Him a sponge soaked in wine-vinegar to satiate Him. The wine turned to vinegar is a symbol of the soul turned sour from sin. After taking this sour wine Jesus cried, “It is finished!” And then He died. What does Jesus thirst for? He thirsts for you, a sinner. He does not turn away from you on account of your sins and the effect that they have had on your soul, He thirsts for you anyway. He thirsts for your love. He wants you to satiate His thirst by loving Him as you are despite your sins. Pay no attention to foulness of your soul as a result of your sins. Our Lord was satisfied with the wine turned vinegar so as to say that He is satisfied with you coming to Him in your fallen condition (See Diary #1032). Reflect upon the image of the Crucifixion. Ponder Jesus hanging there, broken and suffering. In this state of great humiliation, Jesus cries out to you to bring comfort to His suffering. He seeks your love. Will you give it to Him? Can you offer Him yourself so as to enable Him to cry out that it is finished? It is finished when you love Him and give your life to Him. Go to our Lord this day in prayer, and tell Him you love Him and desire to spend this life with Him and on through eternity. In that act, you will quench His thirst. Lord, I thank You for thirsting for me in the midst of Your own suffering and pain. Thank You for giving Your life to me, without reserve, as You hung upon the Cross. Your love is the only thing that will ultimately satiate my thirsting soul. Give me the grace I need to come to You, in my brokenness and sin, so as to offer You all that I have for Your thirst. I love You, dear Lord, help me to love You more. Jesus, I trust in You. The Church is glorious for many reasons. One glorious aspect of the Church is the unity found within it. It’s true that there is, at times, much internal disunity, hurt and disorder of every kind. But these are not qualities of the Church. These are the effects of the sins of Her members. The Church Herself is the Spotless Bride of Christ. And the more we enter into union with Christ Jesus, the more fully we are a member of this glorious Church. By uniting ourselves to Christ we unite ourselves to the Holy Father. And by uniting ourselves to the Holy Father, we unite ourselves to St. Peter, all the Apostles and all the saints who are living and in Heaven. We become mystically united with Christians throughout the world and our prayer and adoration of God becomes one song of praise rising to the glory of Heaven. And as we unite ourselves, through our unity with Christ, we receive the overabundance of Mercy from God making us one (See Diary #1044). Do you see yourself as a member of the one Body of Christ? Do you understand that you are called to share in the unity that comes from your union with Him? Loving Jesus with your whole mind, heart, soul and strength brings about a profound love for others. If it does not, then it is not authentic love of God. Reflect upon the effect that your love of God has on your relationship with others. Let your love of God affect you in such a way that you discover an outpouring of love for all people, especially those within the Church. And let that love reveal the deep bond of unity that is established as a result. Unity is glorious. It is a central blessing flowing from the Church and a sign of the Mercy of God. Lord, help me to always live in union with You and with others. May my love for You overflow into my love for others, especially those who are members of Your Church. I love You, dear Lord, and I trust in You. Are love and suffering opposed? In other words, if you feel much suffering can you also have great love? One question to consider is this: What is the source of your suffering? Is it your sin? Is it compassion for another? Is it a physical or psychological wound? The truth is that every suffering is able to be united with love in your heart. This is true even of the suffering you endure as a result of your sin. Sin is clearly not from God, but when you experience interior suffering as a result of your sin, it’s a sign that your conscience is at work and that is good. The goal is to take every form of suffering you endure, be it from sin or any other source, and let it become an impetus for mercy. First, you must allow the Mercy of God to soothe the pain you feel, and then you must let that love coming from the Lord’s Mercy transform your suffering into your own mercy. Suffering and Mercy must meet within your heart and from there, extend out to others (See Diary #1050). What do you see in your heart? Specifically identify any suffering you endure. No matter what the cause, look at it and experience it. As you do this, allow the grace flowing from the Heart of Christ to enter in. And as you allow it to enter in, let Him transform your hurt into a heart full of mercy and compassion for all, starting with yourself. The Mercy of God is abundant and can overshadow everything we experience in life, even our pain. Let your pain meet Divine Mercy in your heart and you will be forever changed. Lord, I invite You into my heart. Come and dwell there and transform everything within me through an abundant outpouring of Your Divine Mercy. May I love You, dear Lord, above all things and allow Your presence in my life to change me for Your glory. Jesus, I trust in You. Imagine what it would be like if you could somehow be mystically transported to the night of Holy Thursday. And imagine if you could somehow see and experience everything that Jesus went through. Imagine the Agony in the Garden, the ridicule and harsh treatment, the mockery, the night alone in prison, the trial, the scourging, the carrying of the Cross and the Crucifixion. This would be too much to bear. To face Jesus and all His interior and exterior sufferings would be overwhelming. But, if you could do it, and face every experience that He had, it would change your life. The sufferings of Christ should not be ignored. They should not be turned away from and they should not be shunned. His Passion must be faced, understood, loved and lived by each one of us. When we do this we will be changed forever (See Diary #1054). Try to spend time today letting yourself be drawn in, deeply, to the mysterious and profound sufferings of Jesus. Let the Lord reveal to you a taste of what He endured. Facing His sufferings is not only facing a great evil; rather, it’s facing love in its purest form. To face the Cross and all that it encompassed is to face the greatest act of love ever known, revealed through the greatest scandal ever experienced. God is astonishing to us, in a holy way, when we discover His love in His suffering. Ponder it today, let it sit in your heart, seek to understand the mystery and allow God to transform you through it. Lord, please give me the grace to turn toward You on the throne of Your Cross and to gaze upon You now and for all eternity. Help me to discover Love in its most pure form as I fix my eyes on You and all that You endured. My Suffering Lord Jesus, I love You and I trust in You. Anniversaries are blessed opportunities for reflection and gratitude. Some anniversaries are joyous, such as the anniversary of spouses celebrating a long and holy marriage. Other anniversaries are difficult, such as the anniversary of the death of a loved one. Yet even in the difficulty of reliving the loss, it is a yearly reminder of your love for that person. There are many annual celebrations within the Church that point us to a remembrance of a particular aspect of Christ’s life. But there is one “anniversary” which is celebrated daily. It’s the daily commemoration of the death of our Lord at three o’clock in the afternoon. This hour is a sacred hour and is an important time to stop and reflect upon all that Jesus did for us. It’s a time of gratitude as well as a time to mourn His sufferings with a holy sorrow. This hour is especially honored on Good Friday, but it’s important to commemorate it every day (See Diary #1055). Do you remember the three o’clock hour? It’s easy to forget this most sacred moment of the day. Our lives can become busy and hectic and we can fail to pause and recall our Lord’s agony of love. But try to see it as your daily anniversary with the Lord. It is this hour that our prayers are most effective. There are special graces of Mercy bestowed upon those who pause and pray at this hour. Commit yourself to this holy devotion and our Lord will bless you abundantly. My Jesus, You hung on the Cross from noon until three in the afternoon. And at that holy hour You uttered Your final word, breathed Your last and died. May I always remember to honor this hour. May it be my daily reminder of Your perfect love. Help me to grow in devotion to Your sacred Passion, dear Lord, and through this practice, pour forth the Mercy of Your wounded Heart. Jesus, I trust in You. The peace of the Lord is like a fortress in which we must take refuge from all the outer attacks from the evil one. Outside of this fortress we are exposed to all of these malicious attacks. The darts of anger, oppression, deceit and envy can do us great damage without the sacred protection of the Peace of God. But within the walls of this fortress, the Lord protects us from all that seeks to do us harm. Seek refuge in the Lord’s Mercy and allow it to form a barrier of peace, protecting you from the evils of the world. Do not allow these attacks to penetrate this barrier; rather, remain content with the Lord and allow Him to work on you within the safety of His place of refuge (See Diary #1067). What is it that seeks to destroy your peace? What shakes you and disturbs you from within? Know that the Lord wants to protect you and to give you refuge. Seek His peace. Seek Him and He will give you His peace. Peace is a gift that is beyond description and human comprehension. It’s a place of safety that will shield your soul from the daily vices and attacks of the evil one. Do you know the Lord’s peace? Are your eyes firmly fixed on this gift of His Mercy? Seek Jesus with all your heart and you will, indeed, know His peace. And in the shelter of that peace, the Lord will do great things to you, if you let Him. Lord, I entrust to You the protection of my soul. I give to You all of my inner longings, hopes, desires and weaknesses. Please come and form a barrier of protection around me so that I may meet You in this sanctuary within. I thank You for the love of Your Mercy that envelops me and produces sweetness and strength. I love You, my Lord, and entrust myself to Your perfect care. Jesus, I trust in You. A real danger to the spiritual life could be termed “spiritual hoarding.” This would be the person who attempts to make themselves the end of God’s Mercy rather than become an instrument of God’s Mercy. By attempting to be an end of God’s Mercy, a person becomes spiritually greedy, seeking spiritual things for their own purpose. This is a form of pride. Praying becomes an act by which one seeks to “look” holy. Good works are performed so as to be seen. And one may seek to accumulate many spiritual books so as to give the appearance of being wise and learned. But an essential focus of the Mercy of God is not “spiritual hoarding;” rather, it’s “spiritual generosity.” If we want true Mercy to pour forth into our lives, we must give it away. We must see everything that God gives us as a gift given for the purpose of distribution to others. Therefore, when God gives you a certain grace, the first thing that should come to mind is how you can use this gift for the upbuilding of another. By giving the Mercy of God away, we become increasingly rich and find that this act of spiritual generosity continually increases God’s Mercy in our own lives (See Diary #1069). Do you seek holiness? If so, why? What is your motivation? Is it so that you look good? Or is it so that you become good, distributing the goodness of God to those in need? Reflect upon the end result of the Mercy of God in your life. Seek ways to make sure that the end of all God gives to you is the generous distribution of His Mercy to others. In this, you too will be richly blessed. Lord of endless Mercy, help me to see that Your grace increases the more that grace is given away. Help me to always be a holy instrument of Your Mercy and, in this act of generosity, receive the abundance of Your generous Heart. Jesus, I trust in You. Children often find great comfort in snuggling close to a loving and tender parent. There is great satisfaction in being held tight in these arms of love. Fear and worry are dispelled in these moments and peace and solace are restored when distress has been present. So it must be with our Lord. We must seek the spiritual comfort that comes from bringing our weary selves to the source of all comfort. Drawing close to the Heart of our Lord brings peace in the midst of any turmoil. Stress, frustration, hurt and confusion are dismissed and replaced with a sense of confidence and safety. The Heart of the Lord reverberates in such a way that it invites us to take refuge in its rhythm. His compassion and Mercy are distributed with every beat as His Precious Blood covers us as a blanket of grace. Run to this source of comfort and allow the merciful Heart of your God to be your place of rest (See Diary #1074). In your prayer, are you able to take comfort and solace in the Merciful Heart of our Lord? Reflect upon the intimacy that you are invited to share. It is an intimacy beyond any human comfort and distributes a grace that floods your soul with Mercy and peace. Ponder the image of a small child taking comfort in the arms of a loving parent. This is but a glimpse of the care that our Lord desires to show to you. Heavenly Father, draw me close to You and to the Heart of Your Son. May I turn to You in all things and in every moment of distress in my life. I entrust myself to You and cling to Your Heart which is filled with compassion and love. May Your Heart be a resting place for my weary soul. I love You my God and I take refuge in You and You alone. Jesus, I trust in You. Do you work hard? Do you strive to be good? Do you want to make a positive difference? It is certainly good to try to be good. But in so doing, we must never think that our “goodness” is truly good in the eyes of God, unless it is Divine Love that has become the source of all activity in our lives. Humility enables us to turn our eyes to the One and Only source of goodness in our lives. And that source is the abundant Mercy of God. We cannot decide, on our own, to do even one single act that is good or beneficial to others. We cannot please God by our own effort, and most certainly, cannot attain Heaven or any eternal reward by our works. All is a gift and all is grace. Only the humble soul sees this and believes it. But when it sees it and believes it, great things will happen for the Kingdom of God (See Diary #1092). Reflect upon the good works you do. As you do, see them for what they are, nothing less and nothing more. If there is goodness in your life, humble honesty will enable you to understand that this goodness is 100% dependent upon the Goodness of God. Without Mercy, you cannot do any good work. With Mercy, you can do every good work. God, at work in your soul, produces abundant blessings in this world. Reflect upon your desire to be an instrument of the abundant blessings of God in this world and rejoice, humbly, that God has chosen to use you. Say “Yes” to Him and you will see beautiful fruits for all. Lord, please give me a humble heart. Help me to see that all good things begin with You and are only accomplished by You and Your Mercy. I give myself to You so that You may use me for Your glory. And I thank You for the privilege of being used as an instrument of Your unfailing Love. Jesus, I trust in You. What is “doubt?” To doubt is to lack faith, and to lack faith is to lack trust in the perfect revelation and plan of God’s Will. First and foremost, a doubt, resulting from a lack of faith, means you are not listening. When we doubt God, His plan and all that He reveals to us, we are left on our own. But when we listen, hear, understand and believe, we are covered in the protection of His Mercy on account of the faith that we manifest. Faith means that we know with certainty all that God says and wills. Faith is not just believing in something we hope is true, it’s knowing and believing all that is true (See Diary #1101). Do you doubt at times? Or do you have faith? This is an exceptionally important question to ponder. Begin by asking yourself these questions: Do I listen to the Voice of God? Do I hear God speak to me and do I comprehend all that He says? Without these first steps, faith is impossible. Hearing Him speak can only come through prayer. And the form of prayer we need could be called “soaking prayer.” Soaking prayer is a form of prayer by which we allow ourselves to daily become immersed in the Voice of God revealing His holy Will. He speaks to us all day, every day. Little by little we listen, comprehend and respond. This produces the gift of faith and that faith will lead your life. Reflect upon this process in your life and renew your commitment to start at the beginning so that the Lord will lead you one step at a time. Dear Lord, I desire to hear You speak to me. Help me to open my ears to hear so that I may know You and discern Your perfect Will for my life. I desire to be led each day only by You and to trust in the gentle guidance of Your holy Will. Jesus, I trust in You. Imagine that you were guilty of a serious crime and faced life in prison. You were sorry for what you had done and fully confessed to it. On the day of your sentencing you came in handcuffed from where you were being held knowing that you would soon return. Instead, the judge ordered that your shackles be removed, that you were to receive a full pardon and that you were being granted a complete restoration to your former life. Certainly you would be filled with gratitude. But we must realize that God has not only done this, He has done even more. He also elevates us the status as His sons and daughters, a new status that we do not deserve in the order of grace. The Mercy of God is amazing and beyond what we can comprehend. All we have to do is repent and entrust ourselves to the benevolence of this good Judge. This is especially done through Confession and trusting in the abundance of Mercy offered to those who specifically go to Confession in honor of Divine Mercy Sunday (See Diary #1109). Can you admit to your sin? Are you aware of your sin? If so, then you are one step away from receiving a full pardon from the Most Merciful Judge. God longs to not only wipe away your sins, He also longs to elevate you to the glorious heights of Mercy. Do you want this? If so, do not hesitate in believing in the glorious Sacrament of Confession, and do not hesitate to trust in His Mercy poured out on Divine Mercy Sunday each year. Seek His pardon, especially on that glorious day. Lord, give me the grace of knowing my sins and confessing them in the Sacrament of Reconciliation. May I have great courage to face Your Mercy in that Sacrament so as to be elevated to the glorious status of Your sons and daughters. And may I especially trust in the Mercy You bestow on Divine Mercy Sunday. Thank You for the graces bestowed on this most holy day. Jesus, I trust in You. In one sense we can say that God imposes upon us an obligation to turn to Him with our whole being and receive His Mercy. He also imposes upon us the obligation to spread His Mercy to others. But we must understand that this is no ordinary “obligation.” It’s an obligation of love. This means that the “imposition” of this obligation is no imposition at all. It is something that God gives us complete freedom to choose or reject. There are no strings attached, no forms of force; rather, we are left in complete freedom to choose or not to choose to accept and bestow the Mercy of God. This freedom is essential to our lives and is essential to the gift of God’s Mercy. Only by giving us this freedom can we fully cooperate with this gift because Mercy must be freely given and freely received. If it is not, then it is not Mercy. Be grateful for the freedom the Lord has given you and use it to make a glorious choice (See Diary #1115). Reflect, today, upon these two gifts God has given you. First, reflect upon the gift of freedom. In having free will, you are able to make your own choices in life. As a result, you also either reap the blessings of the choices you make, or suffer the consequences. Reflect, also, upon the fact that you are invited by God to accept and distribute His abundant gift of Mercy. By freely choosing this gift, you invite the God of the Universe to descend from His Throne of Grace and embrace you with an embrace of pure love, enabling you to offer that embrace to others. Lord, I give You my life and freely choose to receive all the Mercy of Your most Sacred Heart. Help me to be open to all that You wish to bestow, and help me to be open to bestow all that You wish to offer others. I thank You, Lord, for these glorious gifts of freedom and Mercy and I choose Your Mercy with all my heart. Jesus, I trust in You. We please the evil one when we allow our souls to become lazy and idle in the things of God. An idle soul is one that does not seek to engage the life of God. An idle soul is one who is passive in spiritual things rather than active. Being “passive,” means that the person is somewhat indifferent to matters of faith and morality. There is little interest in these areas and, as a result, very little effort is given to them. Do not delight the evil one by being idle in your spiritual life. Become zealous, passionate, hard working, diligent and committed to the path of holiness. Seek to meet our Lord, personally, through a life of generous self-surrender to Him. And never tire of doing so with all the powers of your soul (See Diary #1127). What are you passionate about? For example, do you have some hobby or pastime? Do you have some activity that you love doing and spend much time with? Though a hobby can be healthy, your greatest “pastime” should be that of seeking God and serving His holy Will. Nothing in life should take up more time and focus than your love of God. Reflect upon how determined you are in your life of faith. How committed are you to building a relationship with your merciful Lord? Are you idle or lazy in this area? Renew your zeal for God and allow that zeal to guide you into an ever deepening relationship with your Lord. Give Him more than an hour a week and you will reap the blessings of your commitment. Lord, I want to be holy. However, I realize that I do not desire holiness enough, preferring instead to be idle and lazy at times. Please increase my zeal and my desire to come to know You more. And as I grow in a deeper love for You, magnify that love and help it to continue growing in an exponential way. May I never tire of seeking You and loving You, dear Lord. I give you my life. Jesus, I trust in You. If you commit yourself to a full embrace of the Mercy of God in your life, you will be transformed beyond your wildest dreams. But you will also have another experience. You will encounter great difficulties in your attempts to live and proclaim Mercy to a fallen world. The world does not understand the Mercy of God. The world only knows harshness and judgment. It seeks revenge and honors pride and self-assertion. Mercy, however, it does not understand. And when you embrace Mercy and allow it to be made manifest through your life, it will not always be accepted. You may be misunderstood, labeled as weak and even ignored by many. Do not get discouraged at the rejection you will encounter as you seek to be an apostle of the Mercy of God. This is inevitable, but in that rejection and in every difficulty you encounter, you will discover a new level of holiness as you rest close to the Heart of Christ (See Diary #1142). As you attempt to embrace Mercy in your life, what difficulties do you encounter? Do others fail to understand the path you are on? Do you feel misunderstood and even judged? Reflect upon your experience and try to surrender every difficulty you experience over to the Heart of Christ. 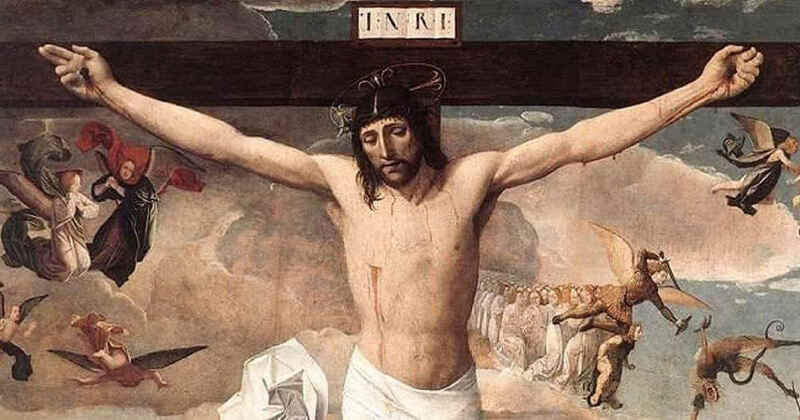 His act of perfect Mercy, manifested through His death on the Cross, was seen by many as a pitiful and unfortunate consequence of His weakness. However, Jesus’ love was not hampered by these false perceptions. He pressed on, offering His life for the salvation of the world. You must do the same. Lord, Your Mercy is so profound and so mysterious that, at times, I question its wisdom. I question whether I am walking the road to sanctity or foolishness. Give me courage, clarity and strength to persevere down the road You have called me and help me to continually trust in Your abundance of Mercy. Jesus, I trust in You. Some people feel deeply tormented in the depths of their souls. Sometimes this is caused by sin, sometimes it is caused by a special Mercy of God which enables the soul to experience the sufferings Jesus went through. Whatever the case may be, if you encounter any torment, whatsoever, in the depths of your soul, know that you have a special right to the Mercy of God. Why do you have this “right” to Mercy? Not because you deserve it; rather, because God wishes to bestow it. The greater your suffering the greater your right to the Mercy of God. For that reason, do not be afraid to run to God in your misery and pain. Do not be afraid of any form of rejection from God. The soul that suffers is dearer to Him than any other (See Diary #1146). The term “tormented soul” is powerful language. But it’s also very honest language, describing the experience of many people. So many people feel this deep interior torment, especially on account of their sins. They feel dry, alone and trapped in this cycle of pain. If this is you in any way, reflect upon the truth that God offers you a right to His Mercy more than any other. He chooses you as His special object of compassion and lavishes upon you more than you could ever ask for. Let yourself grow in confidence as you seek the Mercy of God and allow it to penetrate every torment you feel, no matter the cause, even if it comes from your sin. Lord of utmost compassion, please help me to know, with certainty, that You love me and will never reject me. I believe in Your Mercy and I trust that You desire to dispense it in abundance. When I feel lost, confused and even tormented by my sin, help me to turn to You all the more, calling upon You to fulfill Your promise of love. Jesus, I trust in You. Sometimes, those who are quite “religious” speak of many “religious” things. They speak pious language and talk about holy things. But in the end, it may be that all they say and do is actually said and done as a way of glorifying themselves in the sight of others. This is the struggle of the Pharisees. Sadly, those who struggle with this, just like the Pharisees, may even be fooling themselves into thinking they are exceptionally close to God. But their pride has blinded them. The goal of our lives must be to humbly point to God and offer all glory to Him, not to ourselves. This can be very hard, but when done well, as an act of the utmost humility and truth, we realize that God actually does draw us into His glory and allows us to share in the honor that we owe to Him. Only in this way do we come to realize our true dignity as His sons and daughters. And in humbly pointing to God in all things, we are also lifted on high by God Himself (See Diary #1149). Are you able to give all glory to God rather than trying to lift yourself up for others to see? Reflect upon this in all honesty and humility. The problem is that if you lift yourself on high, you will not be able to lift yourself very high and will actually find yourself in a more humiliated state than you could have imagined. Lift the Lord on high and point to Him as the source of all goodness and leave the elevation of your own life up to Him. He will raise you higher than you could ever do yourself. Lord, I pray for the gift of humility. I pray that in my humility I will see the truth and proclaim only that truth. I especially pray that I will be able to see the truth that all good things come from You and are accomplished by You. All glory be to You my Lord! Jesus, I trust in You. There are days when you most likely feel overwhelmed on account of one thing or another. It may be that you find yourself with much responsibility and are anxious about being able to properly fulfill your duties well. Or you may feel overwhelmed for the opposite reason, finding that life seems to be at a standstill and you are not sure what to do next. In these moments, of feeling overwhelmed, we must make an act of trust in God. The truth is that God could enter any situation in an instant and transform it, enabling us to face what is before us with the ease of a child. But He doesn’t always do that. Sometimes He allows us to wait on Him so that the situation we face will help to purify us and urge us toward greater surrender and love. Know that God loves you and could do anything to immediately lighten your struggle. Knowing that will help you also realize that, at times, He remains at an apparent distance as an act of hidden Mercy. It’s a Mercy because His wisdom is perfect and He will always act in a way that is most fruitful for your soul (See Diary #1153). Look at your life this day and identify that which has the appearance of being your greatest struggle. How does that make you feel? If you do feel overwhelmed then pause and try to see the wisdom of God. He will never abandon you and may actually be offering you a hidden gift of Mercy through which He is calling you to greater holiness than if He immediately made your burdens light and easy. Lord, help me to trust in You especially when I feel overwhelmed by the hardships of life. May I never doubt Your perfect love and perfect wisdom in all things. Give me the grace to see beyond that which burdens me so as to discover the hidden Mercy You offer me to purify and strengthen my soul. I thank You for all things, dear Lord. Jesus, I trust in You. Nothing in life has to be dreadful. Even the greatest struggle and suffering we endure can easily be transformed by God to become a source of His Mercy and our sanctification. But there is one thing that would be truly dreadful if it were to come upon us. And that one thing is the Day of Judgment if we were to remain closed to the Mercy of God through our obstinance and refusal to humbly repent and change our lives. This is a frightening reality to behold. When we stand before the Judgment Seat of God we will never be able to justify our stubborn adherence to sin. No amount of rationalization or self-justification will appease the Justice of God. Do not allow yourself to come to this point. Repent now. Honestly repent and confess your sin. Do not hold onto your self-righteousness. This will be easy to accomplish if you clearly understand the infinite Mercy of God offered you now and until the day of your judgment. After that, it will be too late. Do not wait (See Diary #1160). What do you need to repent of? Seriously, what is it? Do not cling to your own self-righteousness acting as if you have no sin. You may fool others, you may even fool yourself, but you will never fool God. His love for you is greater than you’ll ever fathom and knowing this should ease your worries about admitting your sin. Do it and watch the floodgates of Mercy open before you. Lord, I am sorry and I do repent of my sin. I am so sorry, especially for the ways that I have failed to honestly admit my wrongs. Give me the grace, this day, to see my soul as You see it and to admit to the ways that I have turned from You, clinging to my own sin and especially my pride. Have Mercy on me, dear Lord. I give myself and all my sin to You. Jesus, I trust in You. Is God alive in your life? Does He live within you? Is He present to you in the inner depths of your heart day and night? There is only one thing that would ever cause God to leave you and that is mortal sin. Mortal sin is deadly sin. It’s a freely chosen act that is in grave violation of the Will of God and a grave violation of your human dignity. When you obstinately persist in such a sin, God cannot be present. He waits for repentance and looks for an opportunity to return, but remains absent as long as the mortal sin remains. But with that said, this should give you hope because it reveals that as long as you avoid mortal sin, or repent of one you have committed, you can be certain of the presence of God in your life. You may not always sense His closeness, but He is there, living within you. Do not doubt this truth and have full confidence of this absolute and irrevocable pledge of our Lord (See Diary #1181). Reflect, today, upon the presence of God alive in your life. And if you do not sense His presence, you only need to examine your conscience and discern whether you are in mortal sin. Most likely you are not. If you are, repent immediately and seek out the Sacrament of Confession. But if you are not, then make an act of faith in the presence of God in your soul. Thank Him for being there even if you do not sense Him. And if you do not sense Him, be certain that He is there, hidden and silent for good reason. God’s closeness to you is greater than you will ever know. Lord, I thank You for being alive in my life and for living within the depths of my soul. I thank You for being with me through all things and for never abandoning me. In those moments when I do not sense Your presence, give me faith to know You are there. And fill me with a confident trust in Your guiding Hand. Jesus, I trust in You. We should never tire of pondering the wounds of Christ. Each and every wound He received was unjustified and caused by the sins of others. His perfect hands and feet, His brow and back and His Sacred Heart should have been treated with the utmost respect, adoration and care. But they weren’t. Instead, they were treated with great malice and abuse. From a worldly point of view, this is tragic. But from the Divine perspective, each and every wound, be it from the scourging, thorns, nails or spear, opened up springs of grace flowing in abundance. This effect is only possible as a result of the Mercy of God. Think of each and every wound our Lord endured as an underground spring or the freshest water, gushing forth from the earth to provide nourishment for all. From the streams that flow on account of these springs of Mercy, we are invited to drink our fill so as to be refreshed and satiated by grace (See Diary #1190). Ponder, this day, the very wounds of Jesus. Try to see them and to understand the pain that He endured. As you do this, see also beyond the fleshly scourge and trauma caused by the brutality of His persecutors. Ponder the spring of Mercy that is opened with each wound. Become aware of the streams of grace running forth from these wounds and allow yourself to taste of the refreshment that they provide. Mercy has come forth from the sufferings of Christ. Now He desires to flood you with Mercy and to pour forth Mercy from the wounds that you also endure. Lord, I thank You for Your infinite power and for doing the unthinkable. You allowed Yourself to be beaten and scourged and produced from this malice the springs of new life. May I bathe in these waters, dear Lord, and may I also allow my wounds to become a source of Your grace for a world in such need. Jesus, I trust in You. If you were a criminal, incarcerated for some crime, you would most likely see life from a perspective that is very different from others. You would daily long to have your punishment removed and your status of freedom restored. However, an act of mercy of this sort is rarely offered by secular society. Instead, harshness and judgment is the norm. But God is much different. God is perfectly aware of everything you have ever done in violation of His law. He sees even the minutest sin. And in the end, He will administer His strict justice upon all those who have not been bathed in the justice of His Mercy. So bathe in Mercy now and help others to do the same. God offers this Mercy in varied ways. One specific way God offers the Mercy which appeases His judgment is through your heart. By daily offering your heart to our Lord and by daily offering it for others, God’s judgment is transformed. He sees your holy heart, enters it, and then allows you to offer it for the sanctification of others. In this way you are able to win many souls for God on account of His perfect justice of Mercy (See Diary #1193). When you look at others, what do you see? Do you see a sinner who deserves punishment for their sins? If so, be careful because this is how God will in turn see you. Strive to see the sins of others as opportunities to pray for them and as opportunities to become an instrument of the Mercy of God. God invites your participation in this act of atonement and withholds nothing when you commit yourself to this act of love. Lord, please transform the way I see others, especially the sinner. Help me to withhold my own judgment and, in turn, to offer my heart filled with love as an act of Your Divine Mercy. Cleanse every soul, dear Lord, and forgive every sin on account of my love for You. Jesus, I trust in You. At times it can be helpful to speak openly and thoroughly to God about what we experience in life. You may feel compelled to talk and talk and talk. And God will listen. But there are other times when words seem quite insufficient. In fact, there are times when words appear to be counterproductive. In those moments the greatest blessings come through silence. We must realize that silence is a language. In fact, communication with God, in moments of silence, has potential to be far deeper than words can bring us. Do not be afraid of silent communication with God. Do not feel as though you must speak or even hear what He has to say. Simply being silent, in His presence, knowing that He is there may be exactly what your soul is in need of in those moments (See Diary #1200). When you pray, do you feel as though you must speak continuously to our Lord? Do you feel as though you must talk continuously, saying this prayer or that one? Or are you content simply being in His presence in the silence? Ponder today your experience of being silent in the presence of God. Try to discern the unique and profound language God speaks this way. Try to commit yourself to these prolonged moments of silent communication with God and then look at the fruit they bear in your soul. If you discover that you are more at peace, gain a new level of clarity in life, or have grown in a certain confidence, then you can be assured that these good fruits in your life have come to you from God through the Mercy of His Heart, communicated to you in silence. Lord, I desire to seek You and know You. Help me to hear You speak through the silence. Help me to understand this deep language of love and to allow You to transform me through this form of prayer. I love You, dear Lord, and I desire to rest in Your Heart. Jesus, I trust in You. As we grow deeper in our faith, it’s easy to presume that life will become more complex. For example, when one begins to study mathematics, each course that is taken builds upon the previous, and the lessons become more challenging and difficult as time goes on. But in a certain sense the opposite is true with our life of faith. The deeper we plunge into the Ocean of Mercy, the more we realize the simplicity of our God. Though God is infinite and fully beyond our comprehension, He is also profoundly simple. In fact, the deeper we enter into His Mercy, the more we realize that the mysteries of life are not as complex as we once thought. We begin to realize that the mysteries of God bring us continually back to the simple truth that we are called to rest in the humble Heart of our Divine Lord (See Diary #1211). Reflect upon the call you have been given to enter into the Mercy of God. Do you find life difficult, confusing or overwhelming? If so, it may be time to step back and reexamine your thinking. The call of God is exceptionally simple. To answer that call you may need to set aside the apparent complexity of life and plunge into the simplicity of His Will. It does not require a doctorate degree to comprehend this profound simplicity. But when you do embrace its simplicity, you will also discover its depth and beauty in a new way. Reflect, today, upon this simple call and dive in with the innocence and trust of a child and you will discover the deep wisdom of God. Lord, I love You and desire to know You and Your holy Will. Give me the grace to plunge into the Ocean of Your Mercy and, in the simplicity of this act, to be fully committed to You. Jesus, I trust in You. Every person is unique and God wishes to lavish His Mercy upon each and every one of us according to our particular needs. When we pray for people, it’s good to offer them individually as well as by groupings. Here are some groupings of people we ought to pray for: all sinners, priests, religious, the faithful, pagans, atheists, heretics, schismatics, children, those devoted to Mercy, those in Purgatory and the lukewarm. This list is not exhaustive but each grouping needs prayer for a deepening of God’s Mercy in a particular way in their lives. Do not be overwhelmed by the myriad of needs, but know that it is good to pray and offer sacrifice for a different group of people each day so as to slowly offer each and every person to the Mercy of God according to their particular needs (See Diary #1210-1230, Novena given by our Lord). How attentive are you to the needs of those all around you? Some are strong in their faith and need continual encouragement as they seek to offer their lives fully to the service of God. Others are caught in sin and need to be freed from the burdens and attachments they struggle with. Others are lukewarm, going astray, or lost. Everyone is different and carries particular needs in their lives. You must remember that the Mercy of God is for everyone and will meet the needs of each person in the specific way they need it. The more clearly you see this fact the more you will love each individual as God loves. Your prayers will be one way that you are able to share in the distribution of God’s grace to each person according to their needs. Lord, give me the grace to be attentive to the needs of all people. Help me to be aware of the ways that Your Mercy is distributed and to share in that distribution through my prayers. May all people come to know and serve You with their whole heart. Jesus, I trust in You.